Свадьба по старинному русскому обычаюTOMSK, RUSSIA - JUNE 26, 2016: Bride Diana Khamitova and groom Ilya Klinkin (in the middle) during a wedding ceremony held according to an old Russian tradition, at the Tomsk local history museum. The ceremony is organized as part of the work of the laboratory for social and abthropological research of the Tomsk State University. 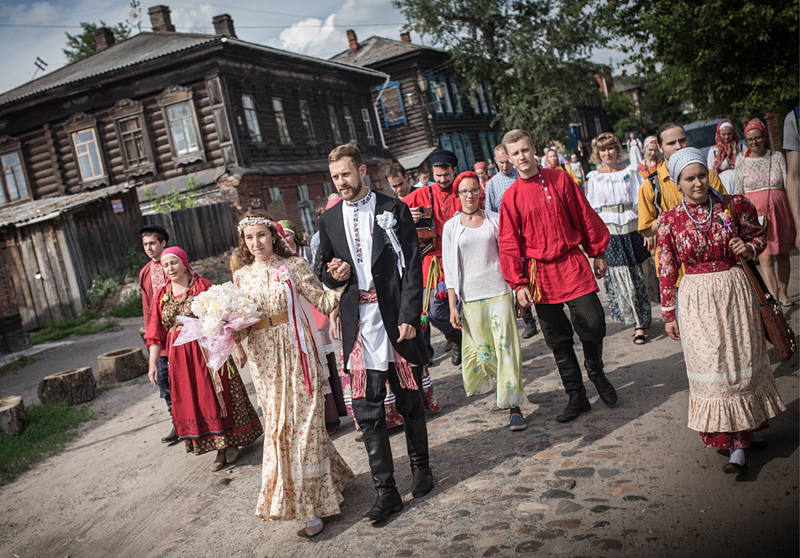 Bride Diana Khamitova and groom Ilya Klinkin (in the middle) during a wedding ceremony held according to an old Russian tradition, at the Tomsk local history museum. The ceremony is organized as part of the work of the laboratory for social and abthropological research of the Tomsk State University.